Whenever we launch a mobile application, we remain excited to see the mobile app download rate touching the sky. We wait for the users to reach our app page and hit on the ‘Install’ button like a kid waiting for his turn to have a candy. Isn’t it so? But, have you ever wondered what makes them download your application? How they land on your app when there are 1000s of alternatives available on the app store? How do they determine if they want to try your app or not? And how they build trust in your mobile app and decide to use it regularly? The best answer to all these questions is – Referral from a friend. Yes, you read it right. Just like we prefer our friend’s recommendation while planning for a movie or trying a meal in a restaurant, the end users seek for their friend’s feedback for trying a new application. If their friends give a ‘thumbs up’, they download the mobile app. Otherwise, they leave the page and the ‘install’ button on your app page remain untouched. Now, the question that arises is – how to politely compel users to recommend your app to their friends? Is there any magic wand with which mobile app developers could turn the users into your favor or not? While working in a mobile app development company, I’ve found that the secret saucer to get a place on the user’s phone (and their friend ’s, of course) is Referral Marketing. Providing free or discounted products/services are the ultimate referral marketing scheme you can opt for. When the user gets something at lesser than the price of the product/service, he gets excited. He will not only grab the opportunity but also share the information with his near and dear ones. This way, he will act as your brand ambassador, luring others to reach to your application and enjoy free/discounted services. When talking about marketing via discounts or coupons, the mobile app developers should pick the most active customers and provide them with personalized discounts. This will increase the chances of a positive outcome. 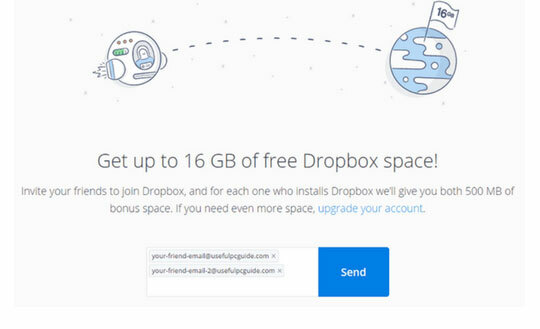 Just like Dropbox provides the option to get an extra 16GB of memory space by inviting a friend, you can also implement this referral strategy type. You can provide the premium features for FREE or encourage end users to unlock new features by sharing the app with a friend. This strategy works well in case of games and mobile apps with premium model. Who doesn’t like to boast about his achievements? By adding a social share button, you can let the end users share their app experience easily. This will add to the customer satisfaction as well act as a catalyst to attract more users. When the user’s friends on the social networking platforms will see his/her transformation or happiness, they will feel drifted to try the app. Ultimately, more users fall into your basket with this continuous process. 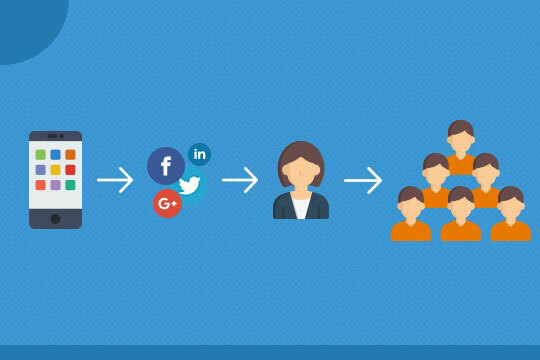 When talking about this referral marketing hack, the best mobile app development company suggest prioritizing users with more social followers, as they can add to your app virality. You may also like: How to Optimize the Conversion Rate of Your Affiliate Traffic? 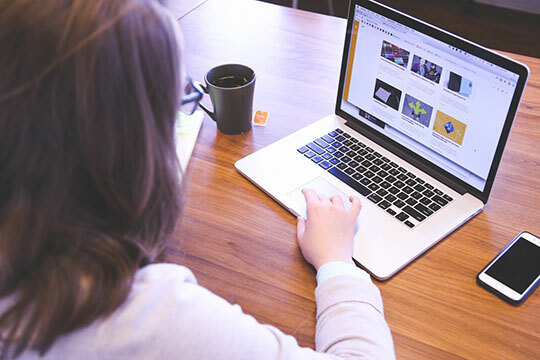 As per the human psychology, the users find a deal more engaging when their friend can also get a benefit from it. So, make a referral marketing scheme that provides gifts/incentives to both the end parties is the best method to get a million downloads on your app. A remarkable example of this kind of mobile app promotion strategy is Uber. 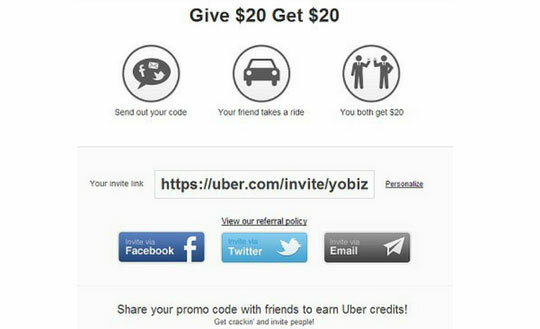 The mobile app provides $20 cash back to both the active user and his friend if the friend takes the Uber ride via referral code. Many mobile app developers overlook the existing users, once they have participated in the referral marketing scheme. Don’t do that. A mobile app user that can attract more new friends once can become a useful resource in the future as well. So, keep re-engaging those users. Provide them personalized offers and encourage them to refer it to a friend. 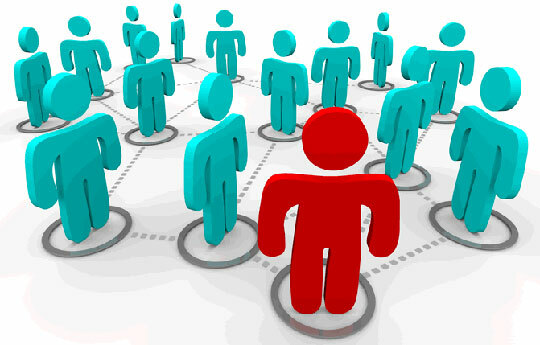 Now, as you are familiar with different referral marketing strategies, don’t waste your time. Sit with your marketing team, plan a referral marketing scheme and leverage its benefits. See the skyrocketed mobile app download rate with investment in the right referral marketing strategy. This article is written by Tripti Rai. Being in the writing business for several years now, Tripti Rai is presently focussing on unfolding the elements that make mobile devices interesting. Currently associated with Appinventiv as a Content Manager, she is keeping herself well read with how lives are/ about to change in the wake of the world entering the Mobile Era and how to prepare the world for the race. When not writing, you can find her slurping chocolate shake in a stray dog’s company.